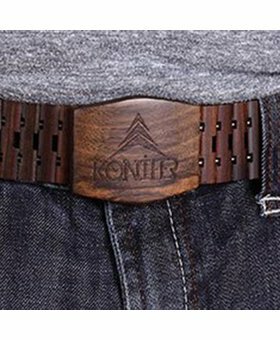 When a bold look is the order of the day, our black wooden belt is the perfect choice for style that’s both striking and eco-friendly. Other wooden belts boast sturdy construction but feature flimsy wood or simply wooden buckles with cloth bands. 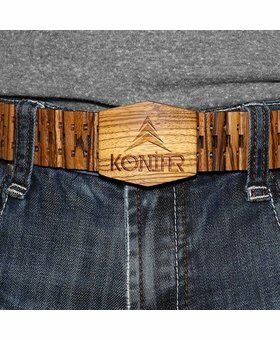 Our high-quality belts are completely wooden, each created with care from an individually selected portion of a log. 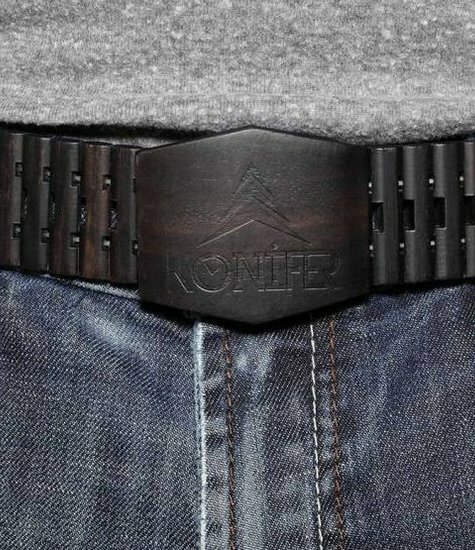 The belts retain all of the unique graining and patterns of the log, creating a distinctive piece that is a real conversation starter. 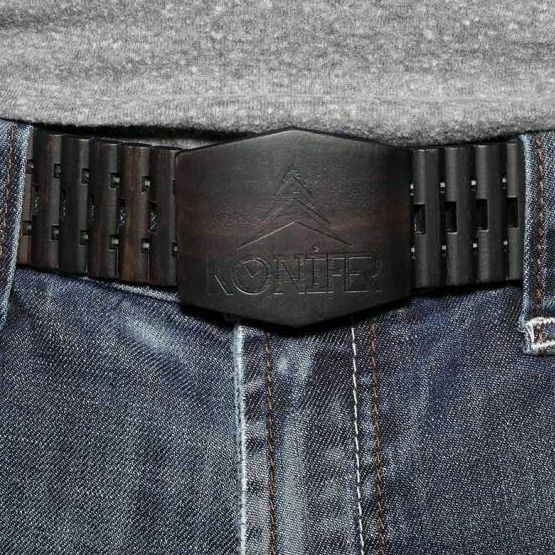 The deep coloring of this 100% ebony wooden belt make it particularly versatile. The perfect gift for the corporate guy with a touch of the mountain man living within.